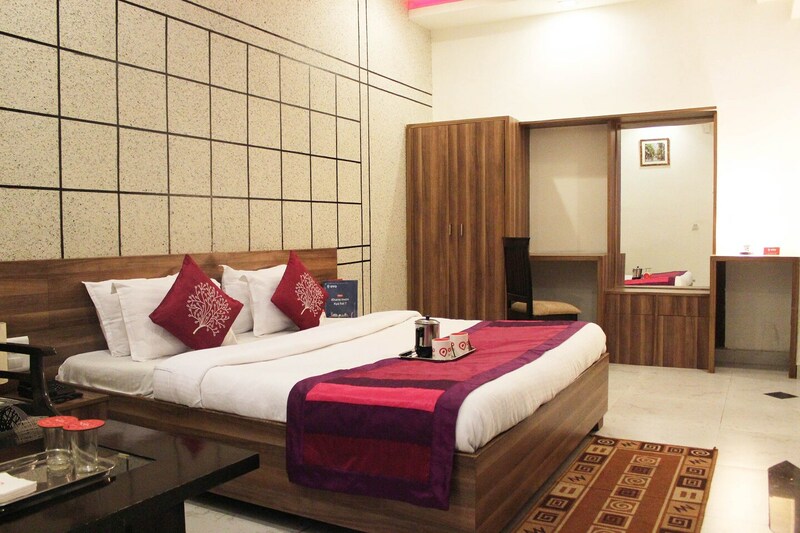 Hotel Kartikay is a classy property with a magnificent interior, located on NH-10 in Hisar. Agritourism Centre and O P Jindal Gyan Kendra are two landmarks in close proximity to this place. The rooms of Hotel Kartikay come with an elegant and tasteful design. The rooms are bright and spacious. The trendily designed wall cladding, modern furniture, and wooden flooring promises a comfortable stay. There is an elevator on the premises. The rooms of Hotel Kartikay feature a television, a room heater, and an air conditioner while the bathrooms come with a geyser. The hotel offers its guests free Wi-Fi, power backup and parking. It also has CCTV and accepts card payments. Some nearby food joints that can be explored are Mustard By Midtown, Chatori Dilli, Midtown Grand and Soul Kitchen.